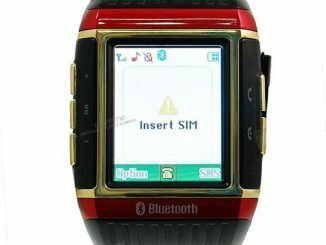 The Cell Phone Watch is available from Wholesale for about $155. 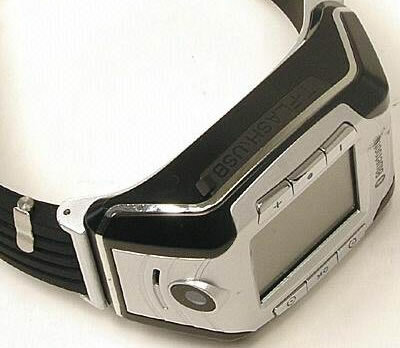 They also have a similar white cell phone watch ($153). Trời ! Tuyệt quá ! Không biết cái này ở VN có bán không nhỉ ???? I’m Vietnamese. ^^! goods! Thích quá mà khong biết mua ở đâu, có ai biết chỉ mình cách mua với! thank! Ai biết cái đồng hồ này bán ở Việt Nam thì share nhé. Tui co cai dong ho dien thoai tot hon loai nay Quad bands gia $275 USD muon mua khong? check out TradingCompany.com. Pretty cool watches. 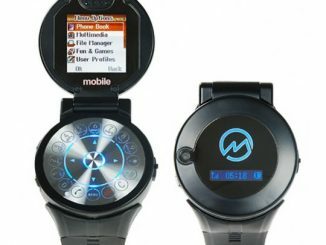 I agree that this is a cool watch phone, but i think that the new V2 watch mobile has far more features. You should be able to order the Cell Phone Watch with Camera and Bluetooth, and get it shipped to India, via the link in the news above. They say that they “ship to virtually all countries”. I love this watch but not able buy it………could some body buy me this watch plz plz….! 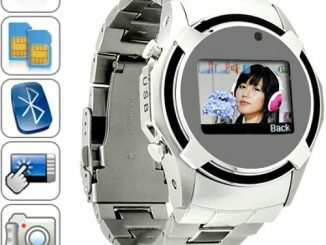 Nick, I suggest you contact Wholesale with your questions about the “Cell Phone Watch with Camera and Bluetooth” (link included in the news above). this is a very nice model. I want one !!! !, how can I get it ? Christian, you should be able to order the “Cell Phone Watch with Camera and Bluetooth” via the link included in the news above. These watch phones are indeed beautiful, and functional, but the ONLY thing that we should be interested in is how long before the strap breaks! y si me pueden enviar una respuesta a mi e-mail con el valor en pesos chilenos se lo agradeceria mucho. Hi Rodrigo, I’m not sure if the “Cell Phone Watch with Camera and Bluetooth” is available in Santiago, Chile. I suggest you follow the link included in the article and ask the retailer. Thanks for stopping by! I need to buy a Cell Phone Watch with Camera and Bluetooth, I need the exact price and the payment methods. Note that I live in france (PARIS). I NEED A BROCHURE ABOUT THIS WATCH. I NEED MORE DETAILS. LIKE WHAT PHONE SERVICE SERVICES TS PHONE? 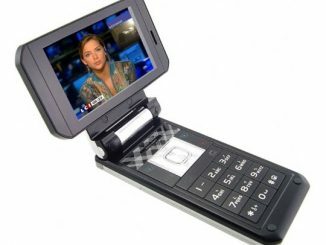 Katrina, I suggest you contact the retailer for the “Cell Phone Watch with Camera and Bluetooth” (link included in the above article). Tariq, we don’t sell or manufacture products at GeekAlerts. 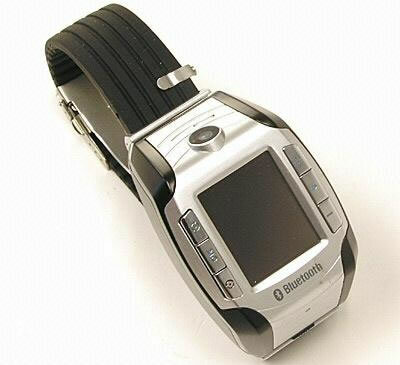 For more info about the “Cell Phone Watch with Camera and Bluetooth”, please follow the link included in the article. theres another one out right now that has dual sim card support. Cool, thanks for the tips Tom! 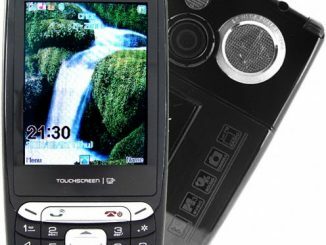 @Christian, you can flow the link in this artical or go to an online electronics wholesaler. hai i want to purchage in india andhra pradesh how it is possible for me???? Yes, favordeals.com can ship worldwide, including India. you can try to contact them either online chat or email, their customer service not bad. 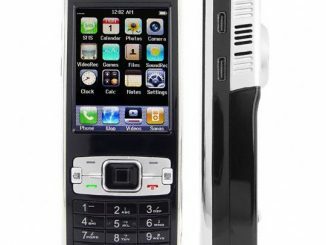 This camera cell phone really nice watch phone that everyone might consider to buy it. My name is Antwan Williams, but known to you all as Pacman. I purchased a watch at the E Watch location in Lenox Square on 2-21-09. The watch was the W08. The same week that I purchased the watch I noticed that it had water damage. The watch suppose to be a water resistant watch so its hard to believe that I have water stuck in my screen without even submerging it into water. I was wondering if there is a way to exchange it or get a refund. I have my reciept. I’ve had the watch since 2-21-09 and have not been able to use it. I purchased it from Lenox Square Mall, but the store is no longer there. We are a manufacture about cell phone watch and bluetooth watch,bluetooth bracelet. Welcome to contact us freely if you needed this procuct. This cell phone watch is cool. A very nice model. I wanna get one. how can i buy this in NEPAL? 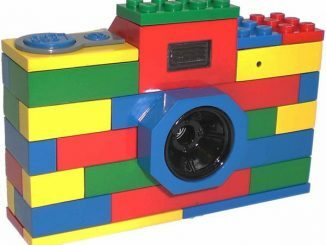 beautiful, where can i buy it? This Cell Phone Watch is beautiful,how much is it? Instead of irradiating your brain, now you can irradiate your whole body. The wrist phone is a great idea but only if you really protect your body from microwave radiation. me i need this cell watch is very beautifil how i can get it? 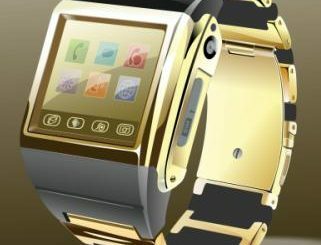 It seems that having one of those multimedia Bluetooth cell phone watches that covers 83% of your lower arm simply isn’t enough for some – they need it gold plated too. 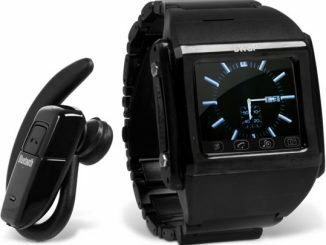 This digital watch comes with the wireless Bluetooth technology and a cell phone with GSM 900, 1800, and 1900 MHz tri-band functionality.